CLAYTON – The New Mexico Department of Game and Fish is partnering with First in the Field to offer a free hunting, fishing and outdoors skills camp where youths will receive hands-on training. The camp is open to youths ages 11 and older. The camp will be conducted June 22-25 at the Wedding Cake Ranch near Clayton. Meals and equipment are provided and participants will camp in tents at the ranch. Registration is underway. Participants must complete and return the registration form available at www.wildlife.state.nm.us/education/hunter-education/ by 5 p.m. June 17 to be eligible. Slots will be filled on a first-come, first-served basis. Participants will learn how to safely handle and fire shotguns, .22 rifles and pistols, practice archery with 3D targets, learn fishing skills with bait and flies, practice survival skills, orienteering, game trailing, wildlife observation and identification, trapping, camping, cooking and more under the supervision of department staff and volunteers. To qualify for the camp, youths must have earned their hunter education certification online and register with an adult. 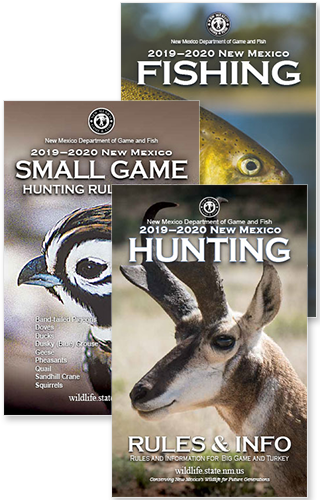 To hunt legally in New Mexico, youths under 18 years of age first must successfully complete a hunter education course or be registered in the department’s Mentored-Youth Hunting Program. For more information, please contact First in the Field, info@firstinthefield.org or the department’s Hunter Education Office, www.wildlife.state.nm.us/education/hunter-education/ or (505) 222-4731.